One of the best parts of childhood for me was to enjoy the mythological tales and become aware of the world where Lord Hanuman could fly, as the emergency herbal treatment is to be delivered to his master’s brother; Laxman. Lord Ram travelling by Pushpak Viman (aero plane), Lord Ganesha being planted with the head of elephant as his human head was chopped off by his father, all this was uncritically digested. Karna is born from the ear of his mother; Kauravas are born from the mass delivered by Gandhari, the mass being divided into 100 pieces and being preserved. Such fanciful imaginations were so engrossing that questioning them never came to my mind. With growing up years, some exposure to science and then rigorous training for close to decade in a medical school forced one to revisit the childhood fantasies built around mythological fictions. Realization gradually dawned as to how to distinguish between fact and fiction, history and mythology. The beauty of imagination; fiction of the pre-Historic times, does still remain etched somewhere but is not a guiding principle for understanding of social phenomenon and processes. While going through the tough medical discipline, one came to see the complexity of human body, histopathology, immune systems, blood groups, bio-compatibility and what have you. 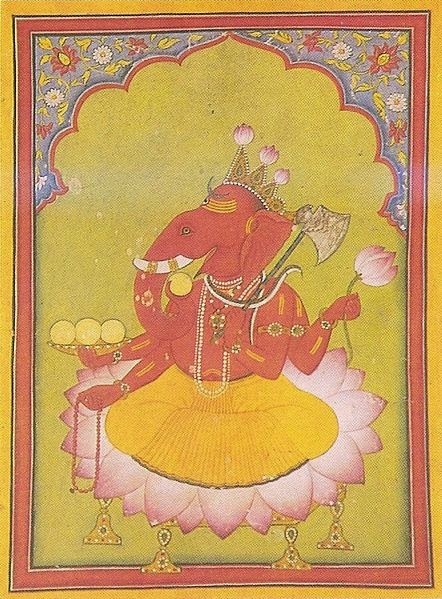 A mere thought that Lord Ganesha could carry an elephant head if taken logically will lead you to so many questions. If the head is severed from the body; for how many minutes one can survive? The head houses the brain with higher centers for control of breathing and heart pumping amongst others, so how long can one remain alive to be a recipient for other’s organs, and that too the head of an elephant? What is the difference in the immune system of human body and elephant? Even while transplanting kidney to one human being to another there are battery of tests carried on meticulously to assess the compatibility between recipient and the donor. So there was all this paraphernalia, if Mr. Modi is to be believed? A mass delivered from uterus; can it be divided into 100 pieces? What type of micro surgery is required for splitting the fertilized ovum? Can uterus be located near ear? I am sure all these questions must have cropped up in the minds of the doctors, who had the privilege of listening to their Prime Minister in person when he was inaugurating their hospital. They heard, “We can feel proud of what our country achieved in medical science at one point of time. We all read about Karna in Mahabharata. If we think a little more, we realize that Mahabharata says Karna was not born from his mother’s womb. This means that genetic science was present at that time. That is why Karna could be born outside his mother’s womb… We worship Lord Ganesh. There must have been some plastic surgeon at that time, which got an elephant’s head on the body of a human being and began the practice of plastic surgery”. Hope the hospital he inaugurated is not planning to undertake such miraculous surgeries and splitting of the ovum in to hundred pieces! Many in the country surely must be feeling happy that their PM has given glory to ‘our’ past achievements! By all accounts it was a pastoral society or might have been the beginning of agricultural times, with hunting stage still lurking somewhere. The facts are very different from the utterances of the PM. The practical impossibility of these fictional tales being true cannot be overemphasized. As understood with great pain and scientific enterprise the fictions of mythology of Mahabharata or Ramayana do not stand even a chance of being actualized. All this requires a huge infrastructure, body of scientific knowledge of human body, physics, astronomy, and myriad other components of knowledge which have been growing from the past but have taken definitive contours in last few centuries only. With all this progress in scientific enterprise today none of these ‘glorious achievements’ can even be dreamt of even today. The World of science has taken giant strides and built up on the cumulative knowledge of human society as a whole. Surely there are many contributions which came up in ancient India, and they need to be underlined, and their wisdom and logical method highlighted. Some of these are the ones related to Charak Samhita (Medical science), Sushrut (Surgical techniques); contributions of Aryabhatt in astronomy and discovery of zero. What is important is to build a method of thinking and logic which can take us to the next step of the knowledge, ultimately leading to techniques and applications, which in turn can be used to enhance and enrich existing scientific knowledge. It’s not that it’s only in our country that such mythological fantasies developed. All old civilizations have such interesting myths. In Egypt, in prehistoric times the tales of Cleopatra tell us that she had belief, like probably many other Egyptians, in the supreme power of many gods who had animal’s heads, like Baboon God head Hedj-Wer and Annubis the jackal headed God. Had the likes of Modi known about this Egyptian belief, the claim of ‘export of our knowledge’ claim would have been registered by now. What a coincidence with our own Lord Ganesh? Is it again a case of plastic surgery or flight of imagination? In Greek mythology, Chinese mythology and many other traditions such fictional characters do merrily abound. The hope and prayer is that in order to prove the point, those in seats of power do not divert and waste social funds for investigations of these fantasies. While an average person can believe in Lord Ram’s travel in Pushpak Viman or someone else travelling on a flying mat, if those in power believe in these things; the danger of public money and state funds being diverted for ‘research’ in these fantasies is very frightening. One recalls that during Zia Ul Haq’s regime in one of the conferences was on ‘how to solve the power shortage’. Encouraged by the atmosphere where it is supposed that all knowledge is already there in our holy books, one ‘scientist’ presented a ‘research paper’ which argued that jinns are an infinite source of energy and that should be harnessed to solve the power crisis in Pakistan! Mercifully, one hopes that state did not allocate funds for such a research! Any way science is a universal knowledge not owing allegiance to any country or religion. There cannot be anything like a Hindu science or a Muslim science! While individuals can harbor the reality of mythology, the matters will be difficult if the chief of state has belief in these fictions being part of History. That will be a big set back to the progress of scientific, rational thinking and enterprise. This combination of mythology, religion and politics will make the matters worse. Many competing mythologies will be struggling with each other for their acceptance and being encouraged by such utterances. And the fantasies of power of jinn’s and plastic surgery for Lord Ganesha will a have field day.